It’s all Standard, all the time. Check out some brews, villagers with pitchforks, an EDH idea or two, and some really solid theoretical strategy writing. All these and more in Gathering This Week’s Magic. First off, this series is pretty sweet for new players. If you want to get into Magic, and more specifically Magic Online, here’s a step-by-step explanation. Lots of East Coast locals went to #GPPit to battle it out in Limited, so there was a ton of stuff written about it this week. Brock Parker took first in the 1,626-player event, capping off the weekend with an utterly conventional Orzhov build that shows the strength of the guild. The Magic Online Champsionships at Pax were kinda fun to watch, but plagued by problems with the Beta Client. After some cool Cube drafting, Dmitriy Butakov capped off a great performance by clinching first using none other than public enemy number one, Junk Rites. (More on that deck below). At the SCG Open in Kansas City, Will Craddock took first with the very same Junk Reanimator archetype in the Standard Open Series, beating out American Flash in the finals. Legacy saw Storm win for the second week in a row in the hands of Grant Wilkinson, dethroning Miracle Helm for the time being, and proving that my love/fear of Tin Fins is unfounded. With Modern done for a while, Legacy hanging on by a thread, and nobody brewing in block until Gatecrash, it’s all Standard all the time. And there’s one big story: Junk (meaning Black-White-Green) Reanimator, often called Junk “Rites” because of its reliance on Unburial Rites. And the monster has us villagers waving our torches. 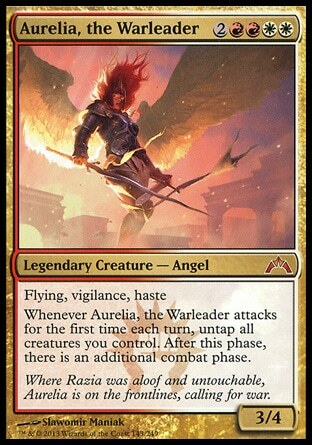 If you’re not into casting infinite Thragtusks and Angels, try smashing with our old favorite, Naya Blitz. Lastly, some Standard power rankings. Oh look! 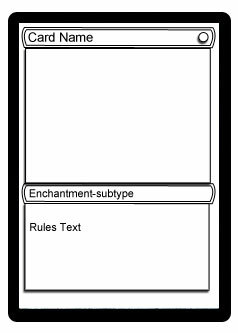 Junk Reanimator defines this list. If you want more details and deeper discussions of everything that happened this weekend, read on to learn why “all is right in the world” of MTG, courtesy of Jason Alt. Womp. Take a break from constant-MTG-IV-Drip this weekend. It’s SCG Orlando, which will be huge, and it’s a double Standard weekend. No Legacy is frown town, but hey, maybe it will accelerate the process of solving the Junk Rites menace. #SCGORL will start streaming on scglive.com at around 10:30 AM ET. Apparently they announced some stuff at PAX? Like the names of the three fall expansions and some details about Dragonmaze and the prerelease. I love spoilers. Conley Woods, rogue brewer extraordinaire, makes a case for drafting. “You’re not playing enough Limited” because it will make you better at Magic. And here are some random ways to draft, some using your leftover chaff to get extra mileage. The lull seems to have been great for those interested in magic strategy. First off, Mana Deprived’s KYT applies Chess logic to discuss resource management and getting better at Magic. Then, Legacy specialist Caleb Durward goes in-depth about life points, the resource that has gotten the least actual coverage, despite the fact that everybody knows “your life is a resource.” Continuing with Legacy, here’s an amateur’s guide to getting into this expensive format with Death and Taxes. There are tons of brews out there, but I got tired of too much Standard, so I just picked this one. If you love casting Living Death, maybe you should sleeve up Immortal Servitude with this Standard concoction. However, I’d say you should be on the lookout for a video or write-up of a sweet BUG aggro deck from Frank Lepore at TCGPlayer at some point in the next week. The verdict for YMTC4 is in. Enchantment. Booo. No colorless. Boo. Ok so You Make the Card is still cool, just less so for not being a land. Tune in Monday to vote on the color. What is complexity? A really smart approach by a scientific mind answers this question regarding Magic. These pieces aren’t flashy, but they are the first thing I read every week that he puts something out. Poppa Menery dives into a game that included a Prime Speaker deck including only Standard-legal cards, then goes about theory-crafting a ghost dad deck for his chroma project. Lastly, here’s an EDH deck built around a newly spoiled card from DotP14 that could be in M14. It’s like relentless daemons or something. The artistic disasters of Fallen Empires will always make me smile, even when belittled in Art Attack. Ahhh memories of starting out in Magic. Owen Turtenwald of Team CFB is always on a tear, but his recent successes haven’t made him any less interested in telling some sweet stories about getting started and how totally freaking awesome Magic and most of the MTG community is. So that’s another one. Thanks for the people who have expressed support of this weekly piece. It’s a labor of love, so if you would love anything specific, let me know. Otherwise, just keep on slinging that cardboard. Oh and in two weeks my LGS @20sidedstore is starting a casuals-only EDH league. I’m so pumped. So that’s cool.